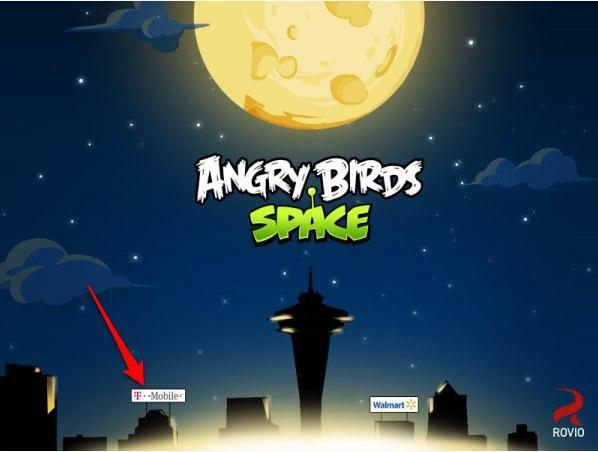 You are here: Home > Angry Birds Space + T-Mobile + Walmart = ????? Yeah, we have absolutely no idea what this means, but we’re going to keep an eye out for something T-Mobile related in Angry Birds Space. If you’re keeping score, Angry Birds Space launches March 22nd. Galaxy Note maybe? Seeing how it was exclusive to the device, wasn’t it? Precisely what I was thinking.. so confused. Edit: But wait, there’s more.. the Galaxy Note got exclusive free levels on it.. that’s why.. maybe because T-Mobile did do the real life Angry Birds, no? Tmobile should make a huge deal with walmart like opening bigger discount stores inside all Walmarts or idk something big. Walmart’s phone service is ported my tmobile. T-Mobile customers only levels. Why would that not be special? If At&t customers only got special levels, you probably would complain about that too huh. Most likely Samsung Galaxy 2 devices get free angry birds in space or free levels. SPOILER ALERT!!!!!! When you activate a new Walmart family mobile phone you will get a clue to where the golden eggs are in the new game…. Would be nice to see the ‘Note’ come to T-Mobile, as Sprint gets it in May. I see the Space Needle, so maybe something to do with Seattle? I wouldn’t be surprised, as TMO HQ is in Bellevue, right across Lake Washington from Seattle. All I know is that I’m excited! I’m on T-Mo (using the WM $30 plan) and have had my Galaxy Nexus since November. What are you waiting for? Why wait for them to carry it? Just buy it. $459 from DailySteals today. I wonder if it has anything to do with this. Launch sponsored by Walmart and available for free or with something special via Family Mobile/T-Mobile (Walmart’s “Supplier of the Year”) it seem like to me. I don’t know who is more of a junkie. My wife playing Angry Birds or me playing COD. She can’t wait! DailySteals has the G’Nexus in both colors for only $469 for the next 13 hours!! $5 shipping!! No tax!! Good find. I’m still looking for that AT&T Note for a reasonable price. I’ll let some people know about this deal though. anything with TMO and Walmart in the same sentence i avoid. My friend just posted a picture of a giant red bird attach to the space needle in seattle. Got a Walmart flyer Tuesday and Tmobile is offering UNLIMITED DATA AND UNLIMITED TEXT PLUS 100 MINUTES for $30 monthly at Walmart!